I have the flu. When I have the shivers and shakes, Malteser’s bossy devotion is welcome. 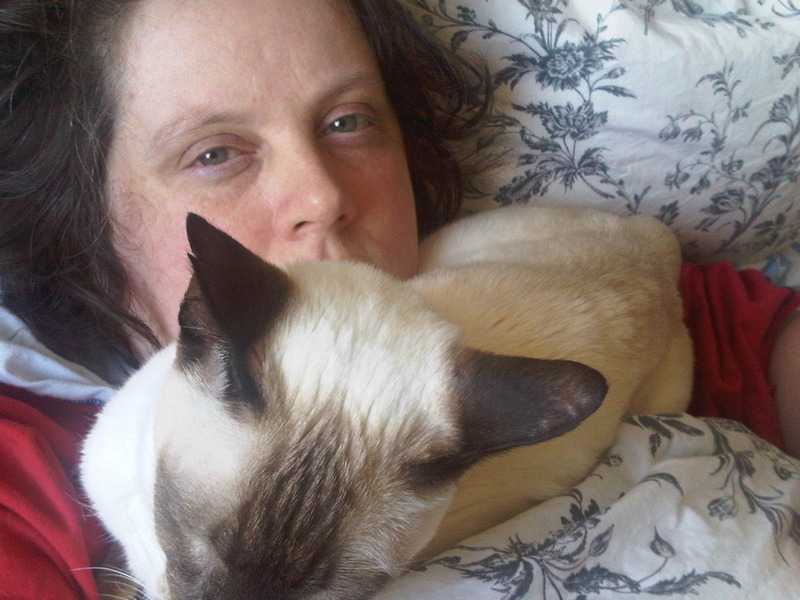 However, in the sweaty delirious phase, a warm furry scarf is not recommended . . .